If you know me, then you know I love all things handmade and customizable. That’s why I LOVE Etsy. Recently my friend Elise, who lives in Maryland, contacted me to tell me she had opened her own Etsy site, CozyBugShop. 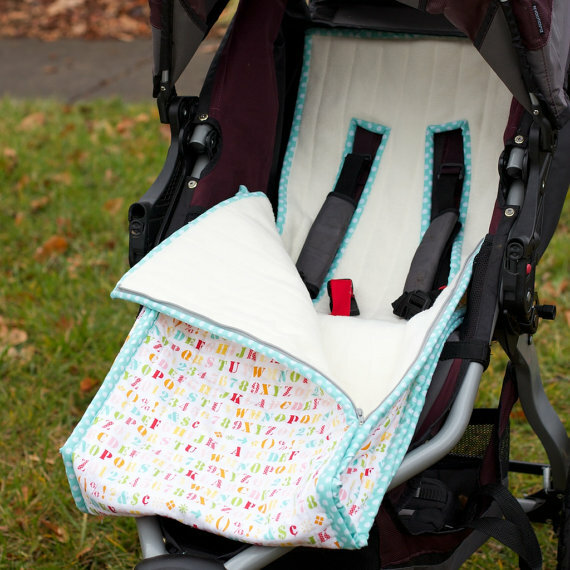 CozyBugShop offers quilted baby supplies, including changing mats, quilts, and stroller buntings to keep your little bug cozy year-round. Best yet, Elise will customize your order so you get exactly what you want. She has a lot of fabrics to choose from and everything is carefully handmade by her. She asked me if I wanted to try out one of her items and share with you guys and I jumped at the chance. Everything in her shop is just so incredibly cute and of course, I loved that she would create something from scratch just for Elliott. 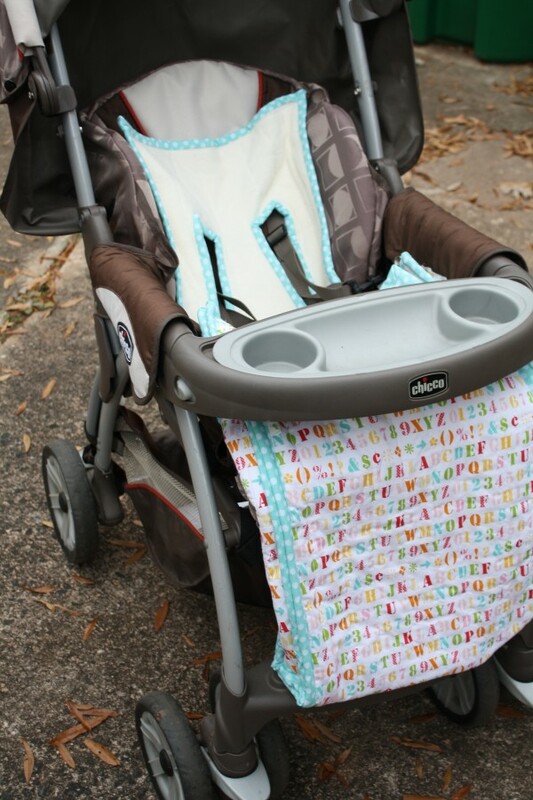 I deliberated between her quilted travel diaper changing pad, tummy time blanket, or stroller blanket bunting and finally decided on the stroller blanket bunting (pictured above). Elise found out exactly what stroller I used and I gave told her I wanted the bunting specifically for my BOB running stroller. The photo above shows what it will look like on the stroller. We haven’t put ours together yet because technically Elliott can’t ride in it while I run until he’s six months old without the carseat adapter. But Elise said it would fit most strollers, so we whipped it out this week on a walk with our everyday stroller, which is a Chicco. Elise worked with me to select this adorable pattern combination. I wanted something really cute and gender neutral and I couldn’t be happier with how it turned out. I love how long the bunting is so it can be used until Elliott’s feet reach all the way to the foot rest on the stroller. 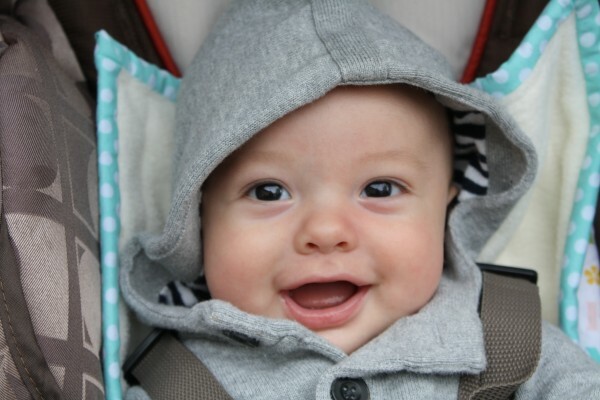 I also love how the inside is fleece lined to keep your baby snuggly warm. This will be absolutely perfect to keep him warm in the BOB when it’s still chilly out in three months. And I plan on getting lots of use out of it now too for walks around the neighborhood. 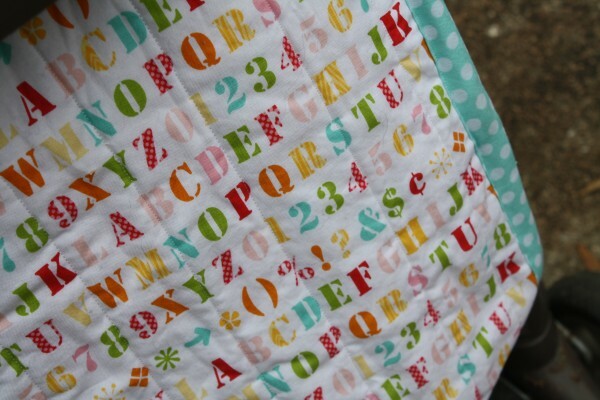 I can’t say this enough — you should really check out CozyBugShop for the cutest quilted items for your baby or for a perfect shower gift! 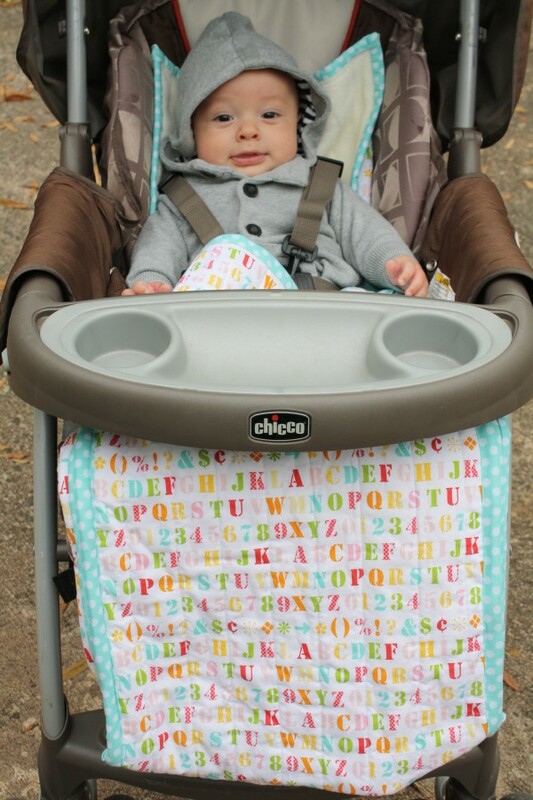 I was provided the stroller blanket bunting from CozyBugShop free of charge but was not compensated for this post. All opinions are 100% my own. The winner of the $25 Harris Teeter gift card is comment #19 — K. Elisabeth @YUMMommy! My favorite holiday foods to make are turkey and sweet potato pie with a pumpkin swirl. My favorite food to eat during the holidays is fruit cake. It’s the one thing I can enjoy alone.